Cameron Craig is a big unit! At 6’4” and 270lbs he strikes an imposing figure. He has also made a big impression with the Las Vegas Cobras of the Arena Football League and their owner David Foster, who found him through the Podyum Recruitment group, and have signed him to a pro contract for their forthcoming season. Like lots of the current crop of British players his first foray into Football was through the Universities League. Arriving at the University of Southampton in 2014 to study for his degree he was spotted at the fresher’s fair by the Stags Football team, who must have thought their Christmas had come early as he showed an interest in trying out for the team. 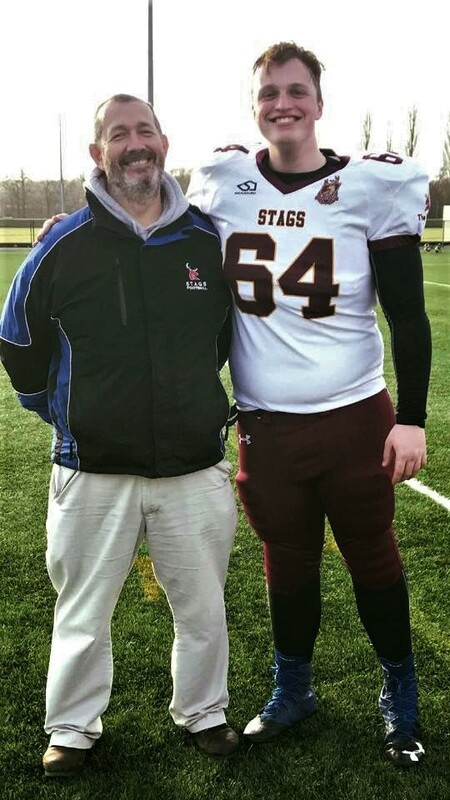 With a rugby heritage, he was used to contact sports and easily adapted to the game under the tutelage of Stags head coach Graham Thorpe. 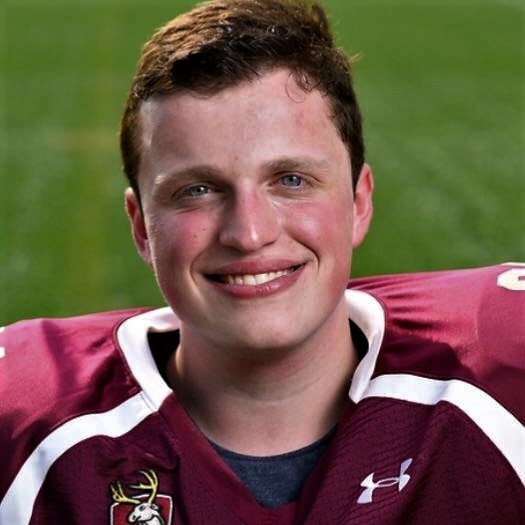 With his impressive frame he was slotted in on the offensive line, playing predominantly at left tackle, but also getting reps at centre. Developing a thirst for knowledge and wanting to maximise his potential, he spent time with the Sheffield Giants, and invested in himself by attending the Jacksonville Jaguars inaugural camps. It was here that he met NFL legend and fellow offensive tackle, Tony Boselli who helped craft his technique, and still maintains contact in a mentoring role. He will be heading stateside in January 2019 where he will take part in the Cobra’s camp, leading up to their first pre-season game against Mississippi. His contract gets him flights, accommodation his visa and a financial stipend, but more importantly it puts him in the spotlight, and provides him with opportunity to get scouted by the NFL and other pro leagues. Between now and his departure he has chosen not to sign for a British senior league team, preferring instead to keep in shape and hone his skills by practising with the London Warriors, where he will get valuable guidance from coach Tony Allen and his team. I asked Craig what he is looking forward to most during his adventure in Nevada. “Mainly the opportunity to play in front of large crowds but also learning more about the game and the techniques. Surrounding myself in a truly “”out of my comfort zone” challenging environment, where I believe I will thrive, provided I put the work in”. I’ll be watching with interest once the Arena League season starts, to see just how far Cameron can take his dream to be the next Brit to taste success in the States.